Hello, lovely people! I'm very excited to share a certain book with you today, because it is NONFICTION and about ANIMALS who are HEROES. Is that not the greatest thing in possibly ever? 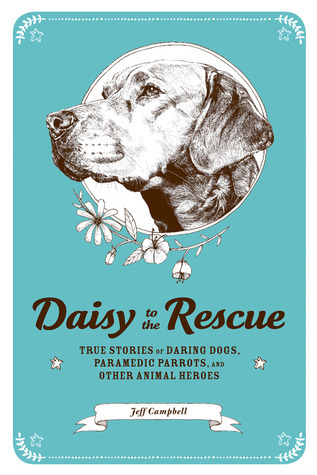 It's called Daisy to the Rescue: True Stories of Daring Dogs, Paramedic Parrots, and Other Animal Heroes and it's by Jeff Campbell, and I'm going to tell you all about it and show you its lovely cover. And I have an interview with Mr. Jeff Campbell, so it's a win-win situation and you should totally check it out. Rachel: Hi, Jeff! I was immediately interested in reading Daisy to the Rescue because it’s about ANIMALS who are HEROES, and I just love animals so darn much (and that cover!). What inspired you to write about them for your book? Jeff: I was first inspired to wonder about the abilities of animals by scientist Marc Bekoff, who wrote the book’s Foreword. Dr. Bekoff has researched and written about animal emotions and intelligence for many years, and he’s a big animal advocate. As an editor, I’ve worked with Marc on four of his books (including his most recent, Rewilding Our Hearts). I wanted to explore these extraordinary events for what they might reveal about the minds and hearts of other animals, hopefully opening readers’ eyes to all that we don’t know and still need to learn about animals. Rachel: Is there a story in Daisy to the Rescue that’s your favorite? Jeff: Ack, that’s like Sophie’s Choice! Honestly, I think I became attached to every single animal I wrote about. It’s so hard not to be moved by the heroism of these animals, and each is heroic in their own ways. The simple, and occasionally life-saving, devotion of dogs is a good example: it may not look like much, and we may take it for granted, but that a dog would choose to stay with a lost child on a frozen night, and through his body heat keep the child alive, is a beautiful act of compassion. And dogs do this kind of thing to save people all the time. That said, there are a few particularly dramatic stories that I love, such as when dolphins saved surfer Todd Endris from a great white shark, when vervet monkeys cared for a lost toddler in the African jungle, and when the golden retriever Angel tackled a cougar to save his boy. We can only marvel at the courage and compassion these animals display. Rachel: I just got a copy of your book, and I'm looking forward to reading it. When I read it, there’s a good ninety-nine percent chance that I’ll cry. I am going to cry, right? Right?! Did you? Jeff: I cried probably more than I should admit. The love, devotion, and heroism these stories embody is extremely moving. Not only that, but the animals often inspire the people they save to dedicate themselves to caring for animals in turn. That’s certainly one goal of writing this book, to inspire people to care for animals better. Knowing that so many species could and would act to save us if we were in peril should, I think, encourage us to respond in kind. Rachel: Why do you think people should read your book—what will they experience or learn? Jeff: Beyond inspiring caring, I wrote the book to ask good questions about what animals know and feel. It can be very hard to prove what animals know. We can usually only guess at what motivates another animal. Life-saving rescues are extreme situations in which we see animals acting in truly remarkable and sometimes rare ways. Their actions during these rescues suggest that animals may know and feel much more than we typically give them credit for. I present a lot of scientific research about what’s understood about animal minds today, and I explore each story for what it may reveal about animal intelligence and the human-animal bond. What these situations may show is that quite a few species are capable of empathy, compassion, self-awareness, some form of morality, and even altruism. They also show how intimate and important the human-animal bond is. Rachel: If you were an animal superhero, what animal would you be and what kind of rescuing would you do? Jeff: Well, there’s really no question. I would be a dolphin. They may be the most intelligent and compassionate animal on the planet. They also probably have the most fun. They are true superheroes just by being themselves, and they’ve been saving our lives since ancient times, at least as long as humans have been swimming in the ocean. Rin Tin Tin, Lassie, Wonder Dog: Just a few names that come to mind when you think of heroic animals. Okay, so they might have only been television heroes, but nonetheless, in real life, animals are not only our companions but are, in many cases, true lifesavers as well. Now, Daisy to the Rescue by Jeff Campbell, with original illustrations by Ramsey Beyer, illuminates more than 50 amazing stories of how animals not only make our lives better, but also can and do literally save our lives as well. These stories, featuring the incredible actions of pets and service animals, as well as wild animals and animals in legend and myth, will thrill the animal lover in all of us. With tales of bottlenose dolphins rescuing surfers from a great white shark, lions protecting a kidnapped girl, and a pig stopping traffic to get help for a heart attack victim, this heartwarming book of stories will inspire readers to think more about what their own animal friends might be capable of, be they pig, goat, dog, elephant, gorilla, or kangaroo. Jeff Campbell is a freelance writer and book editor. His most recent book, Daisy to the Rescue, published in October 2014. For twelve years he was a travel writer for Lonely Planet, coauthoring over a dozen guidebooks to US destinations. 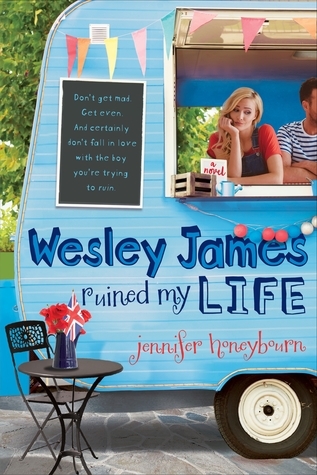 As an editor for over twenty, he has specialized in pop culture, self-help, sports, and animal intelligence. He also teaches creative writing to grade-school students. 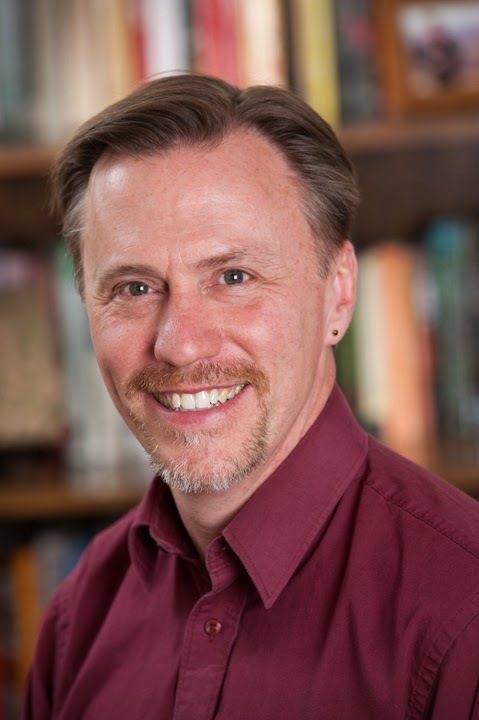 To learn more about Jeff Campbell and his books, visit his website! -Neither Rachel of Beauty and the Bookshelf nor Zest Books nor Jeff Campbell are responsible for lost, stolen, or damaged items. -Any shady entries will be disqualified. -Winner will have 48 hours to respond to email (and/or possible tweet) or else a new winner will be chosen. If I was gonna be a superhero animal I'd be either a wombat or a cat. I'd totally want to be a platypus. 'd totally want to be a platypus.